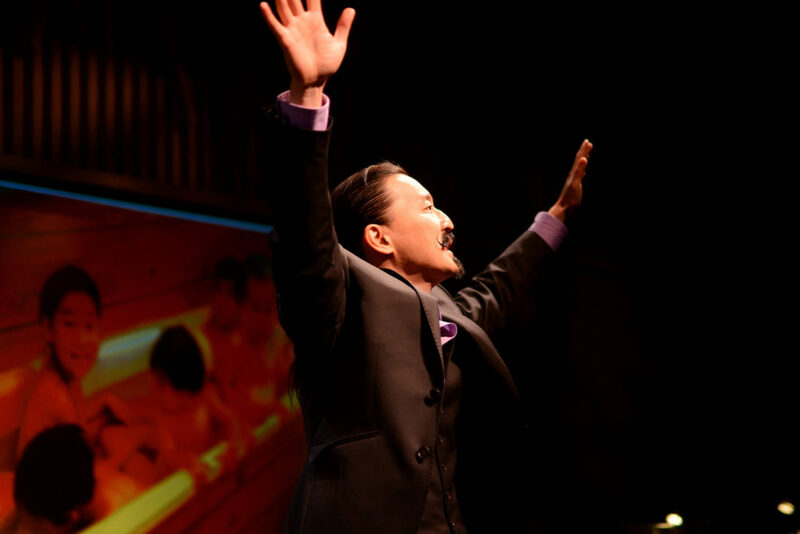 Described by Tetsuro Shigematsu as a Forrest-Gump-like character who lead a life that “followed the contours of the 20th century,” Tetsuro’s father Akira lived through the aftermath of Hiroshima, was witness to Marilyn Monroe famously singing Happy Birthday to United States President John F. Kennedy, and even had tea with the Queen of England. After leaving Japan, Akira began his own broadcasting career with the BBC in London, continuing on to settle in Canada and host the CBC’s Canada No Wadai. Later in his career, budget cuts took a toll at the CBC, leading Akira to spend the winter of his professional years in the CBC mailroom. 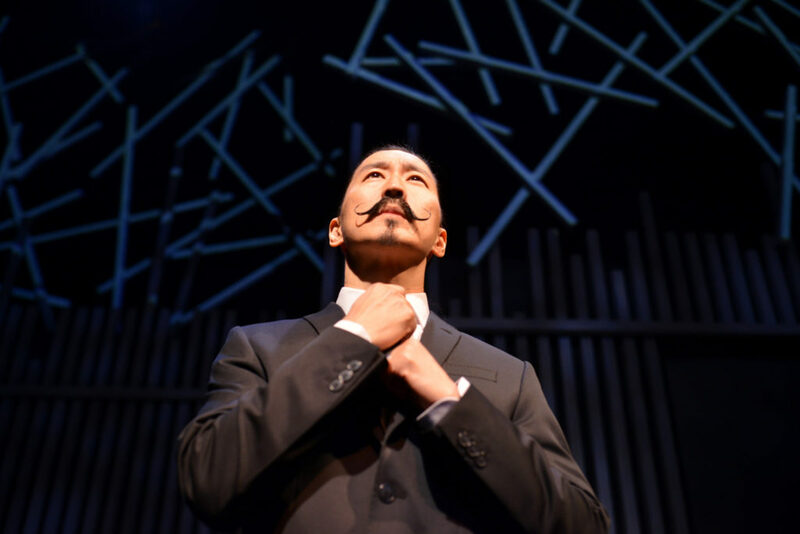 With his magnetic radio voice and theatrical mustache, Tetsuro Shigematsu depicts defining moments from his life and how they shaped his relationship with his father. Tetsuro Shigematsu in Empire of the Son. Photo: Raymond Shum. 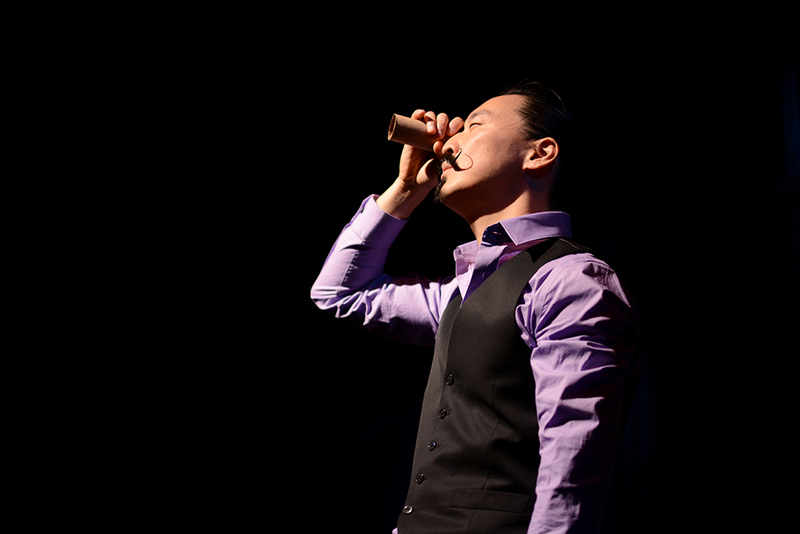 Tetsuro’s exploration of his difficult relationship with his hard-shelled father along with the unique relationships between first-generation Canadians and their immigrant parents makes the show easy to relate to. 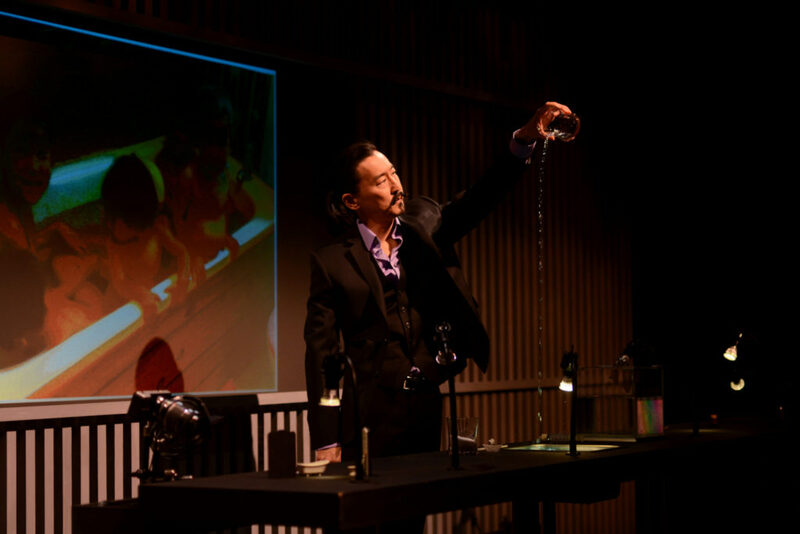 Through visually striking live, cinematic vignettes, Tetsuro Shigematsu re-enacts moments from his father’s incredible personal history, and also uses audio recordings and photographs to paint an intimate portrait of their evolving connection and the deep-seated love for each other that they both struggle to express. Empire of the Son sold out its entire 2015 world premiere run in Vancouver and 2016 remount prior to opening, unprecedented for a new Canadian play. 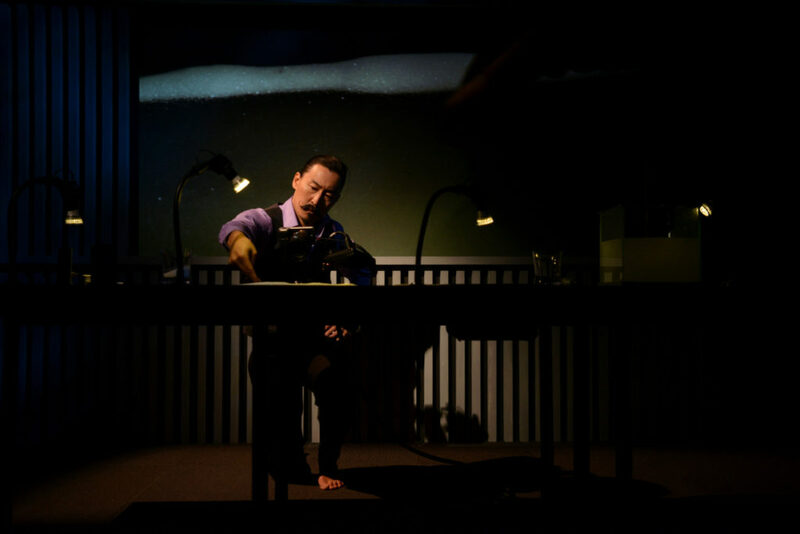 Named the ‘Best Theatre Show of 2015’ by the Vancouver Sun, the production has since received further critical acclaim touring Toronto, Montreal, and Ottawa’s National Arts Centre. Empire of the Son runs until January 28 in the Martha Cohen Theatre. View performance times and purchase tickets for Empire of the Son HERE.